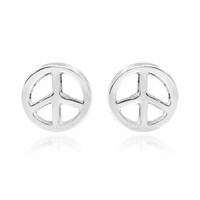 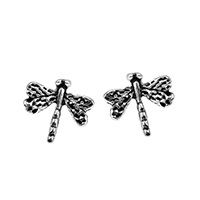 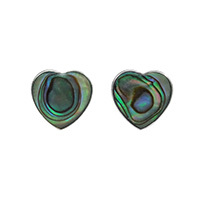 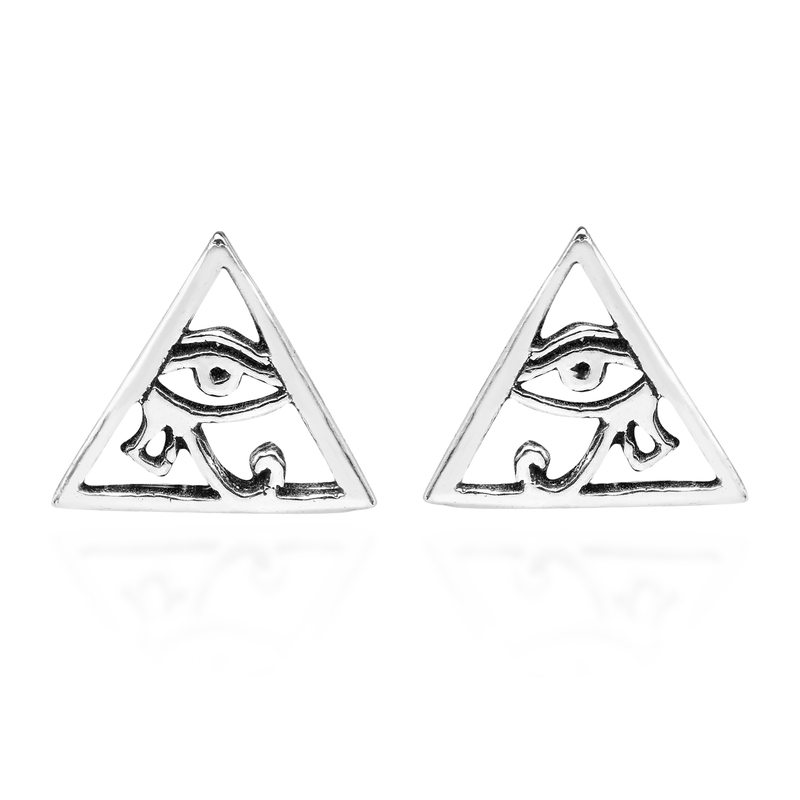 Add a stylish Egyptian themed accent to any outfit with these amazing earrings from Thai artisan Watsud. 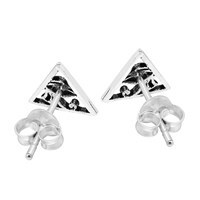 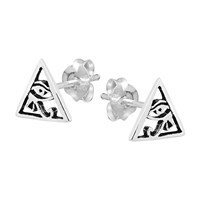 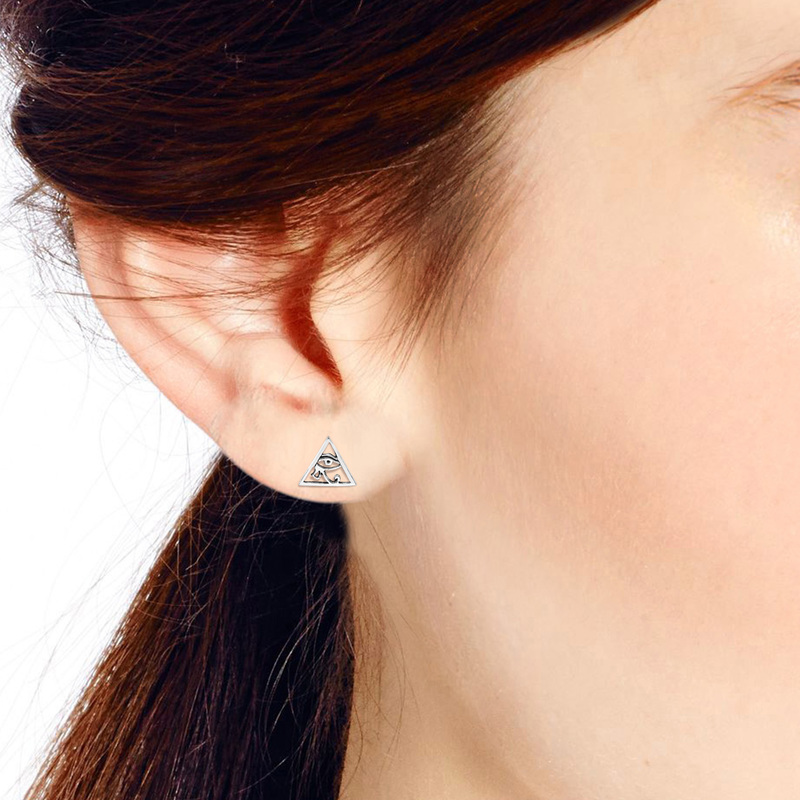 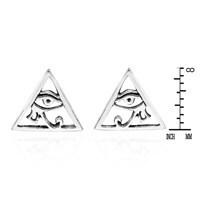 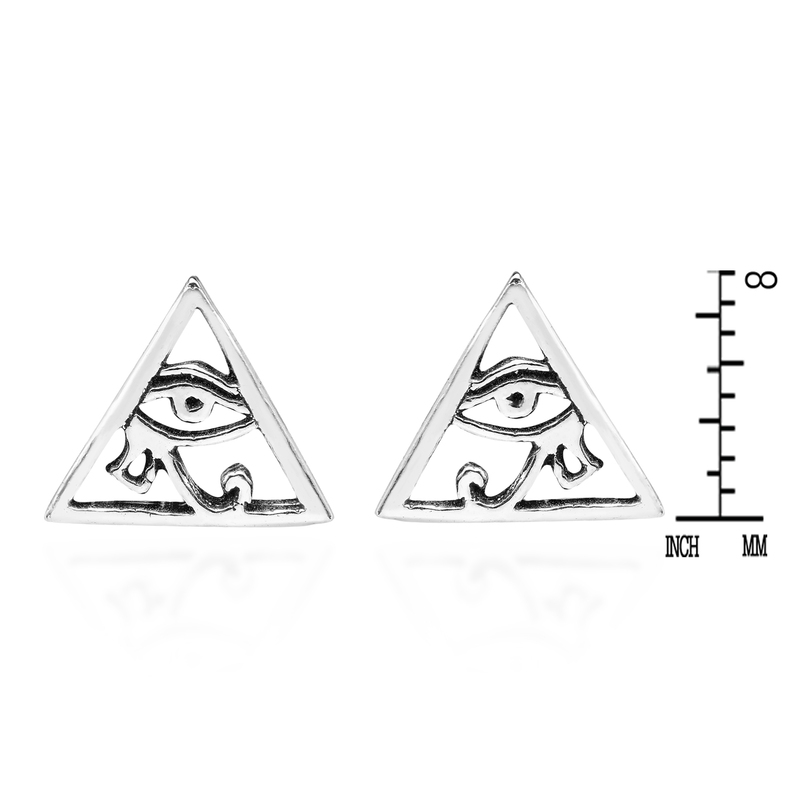 This design features the Eye of Horus set in a pyramid inspired triangle made from fine sterling silver. 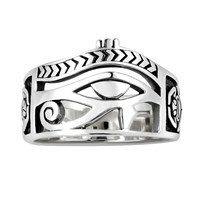 The Eye of Horus has been used as a protective symbol for many centuries and is said to ward off evil vibes. 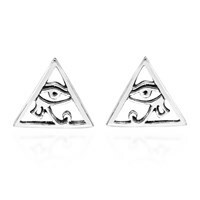 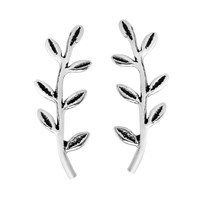 Sure to add a touch of ancient Egypt to whatever you are wearing, these stylish earrings will make a great addition to any jewelry collection.